Nicotinamide adenine dinucleotide (NAD+) is a key cofactor in numerous metabolic pathways, including glycolysis and the citric acid cycle. The reduction of NAD+ in these reactions produces NADH, which subsequently acts as the key electron carrier in the oxidative phosphorylation process of ATP generation. 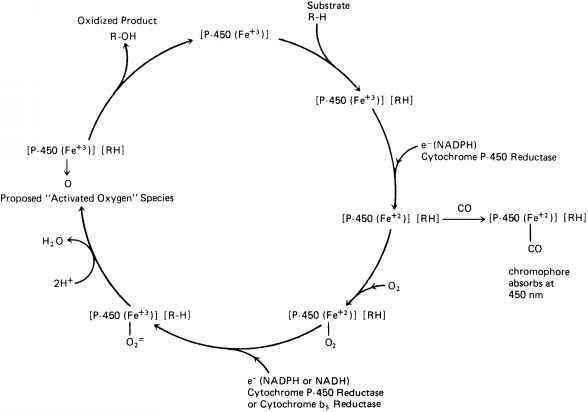 Oxidative phosphorylation oxidizes NADH to regenerate NAD+. The NAD+: NADH and NADP+:NADPH concentration ratios largely define the redox state of a cell. Changes in the redox state can dramatically affect multiple cellular processes including stress response, apoptosis, and aging. Some of these responses are due to the production of reactive oxygen species (ROS), but others are directly related to NAD+ itself. 1 M. Rechsteiner and V. Catanzarite, J. Cell Physiol. 84, 409 (1974). 3 G. Hogeboom and W. Schneider, J. Biol. Chem. 197,611 (1952). 5 J. Landry, A. Sutton, S. T. Tafrov, R. C. Heller, J. Stebbins, L. Pillus, and R. Sternglanz, Proc. Natl. 6 S.-J. Lin, P.-A. Defossez, and L. Guarente, Science 289, 2126 (2000). 7 J. S. Smith, C. B. Brachmann, I. Celic, M. A. Kenna, S. Muhammad, V. J. Starai, J. L. Avalos, J. C.
Escalante-Semerena, C. Grubmeyer, C. Wolberger, and J. D. Boeke, Proc. Natl. Acad. Sci. U.S.A.
transcriptional silencing and cellular life span regulation.6,8'9 In this chapter we describe SIR2 function and the relevant experimental techniques used in its study. SIR2 is the founding member of the SIR2 family of proteins. 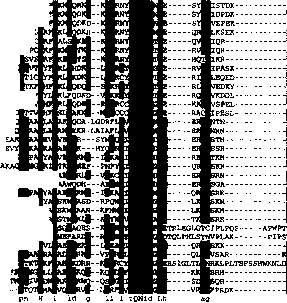 It was originally identified from the budding yeast, Saccharomyces cerevisiae, as a gene required for transcriptional silencing of the HML and HMR silent mating type loci.10'11 Mutations in SIR2 result in derepression of a and a mating-type information genes located in HML and HMR, respectively. The result is expression of a and a mating-type information in the same haploid cell, which results in formation of the al/a2 repressor complex, repression of haploid-specific genes, and a nonmating pheno-type. There are three other SIR genes (SIRI, SIR3, and SIR4) that are required for silencing at HMR and HML. SIR2, along with SIR3 and SIR4, are required for transcriptional silencing at yeast telomeres.12 In this case, mutations in SIR2 derepress silenced reporter genes that are integrated adjacent to a telomere. More recently, silencing in the ribosomal DNA locus was shown to require SIR2, but not SIRI, SIR3, or SIR4. In this case, sir2 mutations cause a loss of recombinational suppression between rDNA repeats,13 and also derepression of polymerase II (Pol II)-transcribed reporter genes that are artificially integrated in the rDNA.14,15 Silencing in the rDNA is significant because it demonstrates that Sir2p can function in silencing independently of the other Sir proteins, and therefore must have an important activity, which turns out to be NAD+-dependent histone deacetylase activity. 8 C. B. Brachmann, J. M. Sherman, S. E. Devine, E. E. Cameron, L. Pillus, and J. D. Boeke, Genes Dev. 9,2888(1995). 9 M. K. Derbyshire, K. G. Weinstock, and J. N. Strathern, Yeast 12,631 (1996). 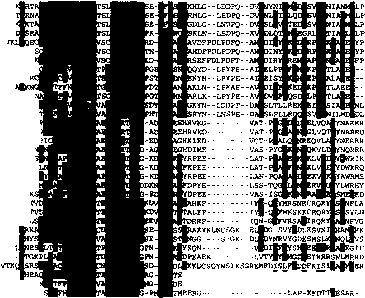 10 J. Rine and I. Herskowitz, Genetics 116, 9 (1987). 11 J. M. Ivy, A. J. Klar, and J. B. Hicks, Mol. Cell. Biol. 6, 688 (1986). 12 O. M. Aparicio, B. L. Billington, and D. E. Gottschling, Cell 66,1279 (1991). 13 S. Gottlieb and R. E. Esposito, Cell 56,771 (1989). 14 M. Bryk, M. Baneijee, M. Murphy, K. E. Knudsen, D. J. Garfinkel, and M. J. Curcio, Genes Dev. 11,255 (1997). 15 J. S. Smith and J. D. Boeke, Genes Dev. 11,241 (1997). l5a R. A. Frye, Biochem. Biophys. Res. Commun. 273,793 (2000). 1 eSetlkhi dss! 1 KiWELAMfKOSS.